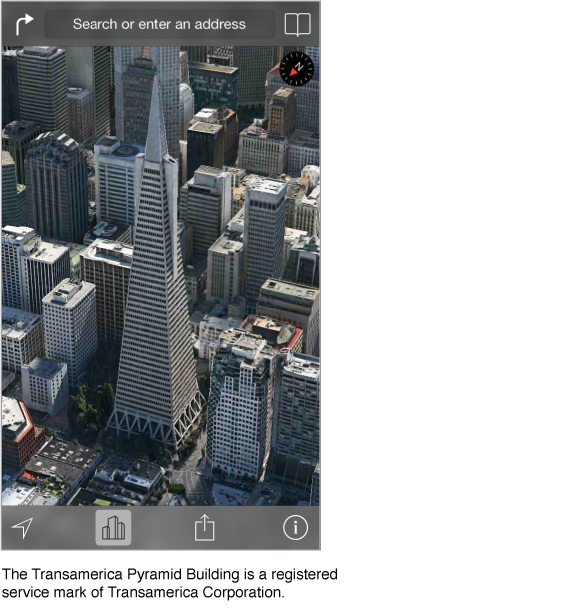 On iPhone 4s or later, you can see three-dimensional views and even fly over many of the world’s major cities. Zoom in until or appears, then tap the button. Or drag two fingers up. To switch between 3D and Flyover, tap and change views. Adjust the camera angle. Drag two fingers up or down.